York Barbell meets the challenge of training today's athletes with itsSTRENGTH TRAINING SERIES (STS). Its modular components allow athletesto perform various exercises at one station, increasing space and timeefficiency. The modular nature of the STS equipment allows strengthcoaches to effectively supervise athletes and ensures fluid movement ofathletes through the weight room.STS is a competitively priced commercial line of equipment perfect forthe High School, Club and College environments. Its full commercialwarranty, incredible functionality and attention to detail make the STSline a favorite among coaches and club owners. 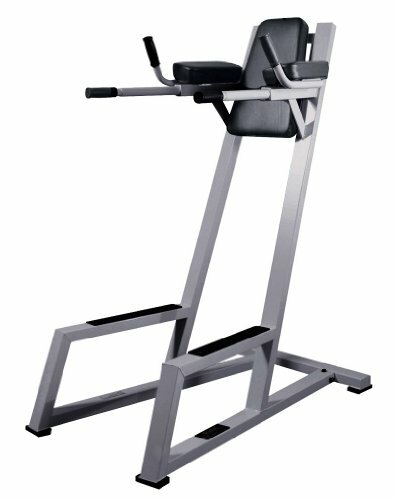 All equipment is safe,highly durable, attractive, and space-efficient.Features * Multi-functional accommodating for abdominal andupper-body exercises combined into one unit. * Angled dip bar design fits different users. * Diamond-plate, non-skid foot rests. * Ergonomically angled elbow pads for maximumcomfort and stability. * Heavy contour foam padding for extra support.Specifications * Length: 52" * Width: 30" * Height: 66"
If you have any questions about this product by BigFitness, contact us by completing and submitting the form below. If you are looking for a specif part number, please include it with your message.